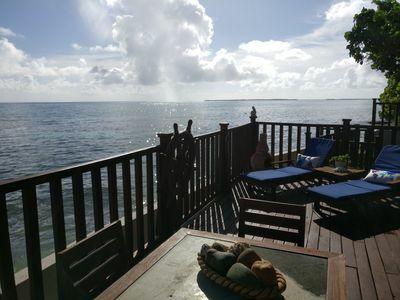 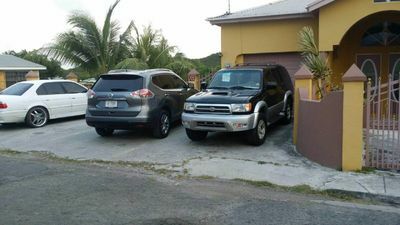 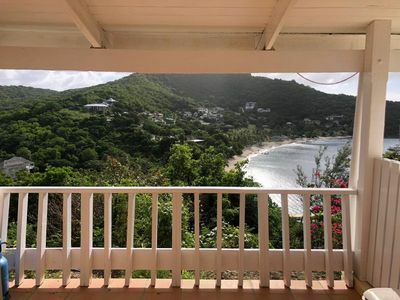 This property is a beautiful, traditional Caribbean home situated in the most pristine area of English Harbor. 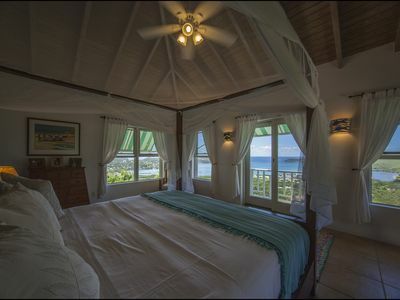 The house is very spacious, with three queen/king sized bedrooms each with en suite bathrooms, a pull-out sofa and a guest bathroom. 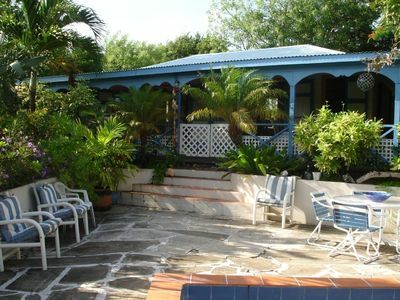 It has a large, wonderful wrap-around balcony and a fruitful garden. 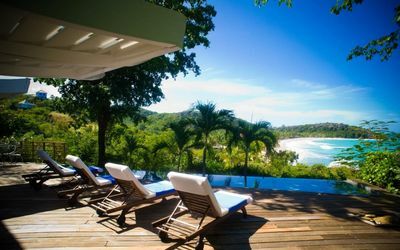 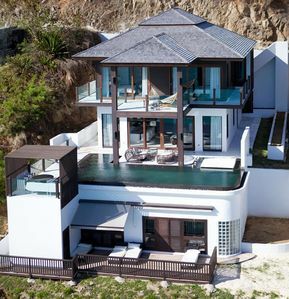 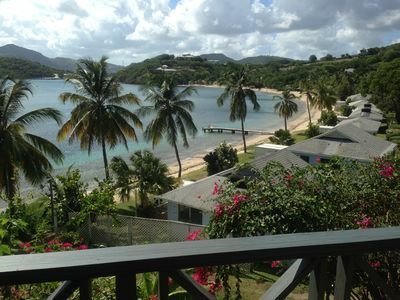 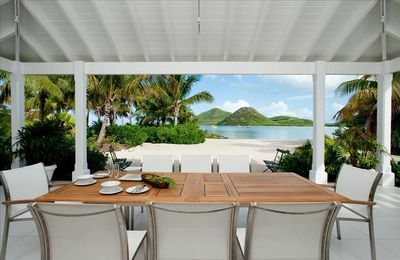 The view and ocean breeze present at this house is what makes it so unique to the properties in Antigua. 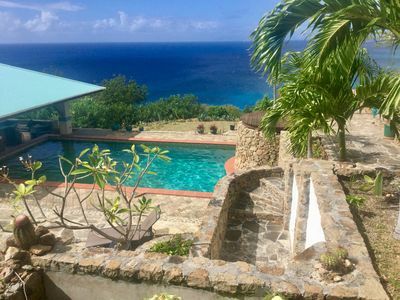 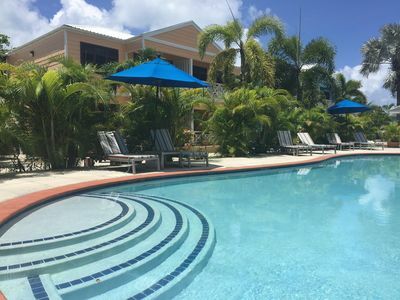 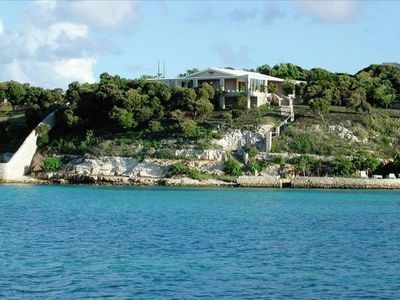 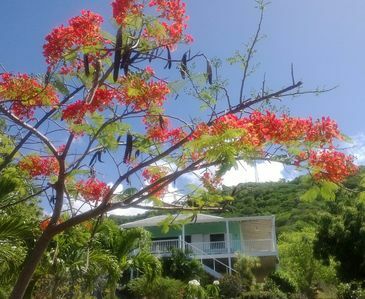 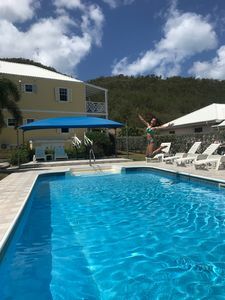 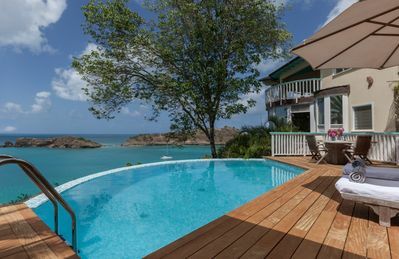 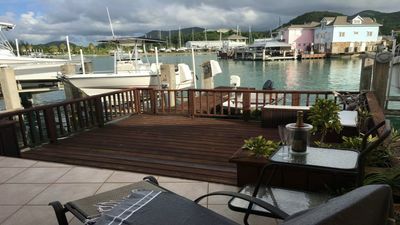 Situated on top of a hill, enabling our guests to feel the upmost privacy, this property looks out to the entrance of the historical Nelson's Dockyard and Freeman's Bay. 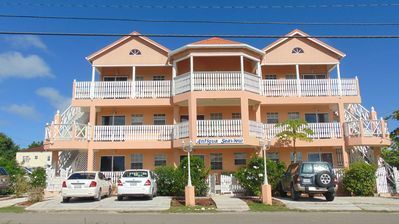 We are approximately a 10-15 minute walk to Galleon beach. 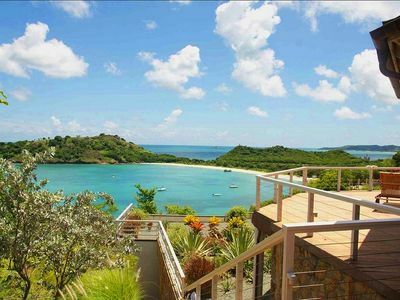 3 Br Luxury Villa Located Moments From English & Falmouth Harbours. 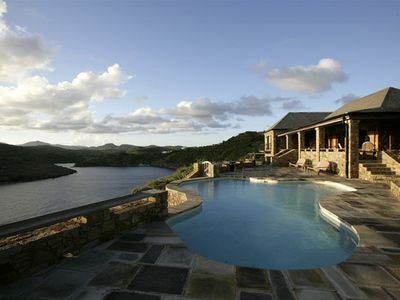 Spectacular Villa overlooking Falmouth Harbour! 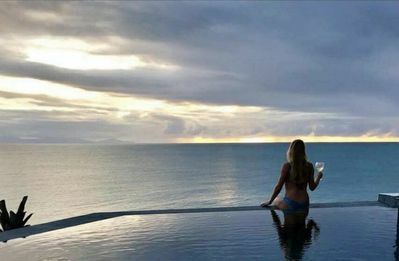 200 degree ocean view!